* The sizing of your positions - It's not uncommon for small traders to have big dreams and take positions that are unusually large for the amounts of capital they're trading. Any trader can experience strings of losing trades merely by chance. When position sizes are too large, those strings of losers incur a risk of ruin. Once you're down 50%, it takes a doubling of remaining capital just to return to break even. * The volatility of your markets - Volatility can change dramatically from day to day, week to week, depending on the participation in your markets. This can be particularly true around major events, such as central bank meetings, earnings reports, etc. You want to size your positions, not only for the current volatility of the market you're trading, but also for the expected "vol of vol": the expectable variation in volatility over the life of your intended holding period. * The correlation of positions you are trading - When the positions you are trading are negatively correlated, the overall risk in your book can be smaller than the risk associated with each of the positions. 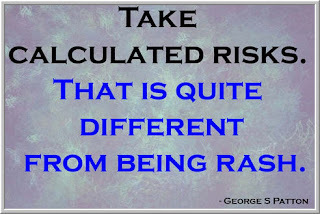 Conversely, when you trade multiple positions that become correlated, your total risk exposure can grow exponentially. Some short-term traders only hold one position at a time, but can experience correlation-related risk if they habitually lean one way in markets (long or short, for example). They end up taking bets that are not truly independent ones. Traders of individual equities often treat their positions as independent when, in fact, those positions can respond very similarly to large moves in the overall market. Risk is important because it impacts trader psychology. If the amount of risk you're taking dramatically expands or shrinks, you're likely to react to the change in the ebb and flow of your P/L. 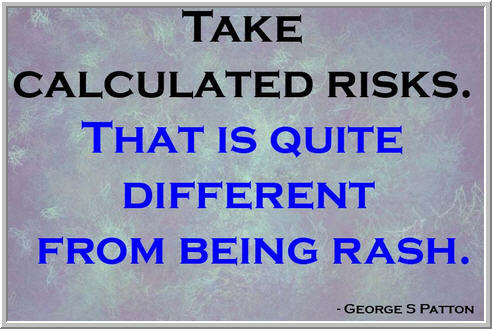 In order to take calculated risks, you have to be able to estimate and calculate risk--and the possible ways risk can shift over time. We often think of trades as directional bets, when in fact they are also implicit bets on *how* markets move.